Reward your wrist with a minimalist timepiece from MVMT Watches that will never go out of style. Knock an extra $15 off with and buy a watch for as low as $80, plus receive free shipping worldwide with code AVCLUB. 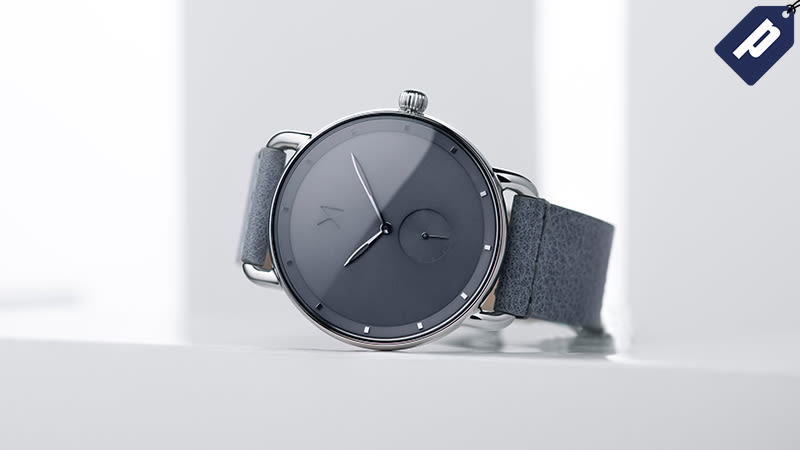 MVMT designs, builds, and sells their watches directly to the consumer, boasting high-quality stainless steel cases and offers both natural leather straps or stainless steel metal bands. Not to mention every watch purchase comes with a 24-month warranty. MVMT offers five distinct styles: The Classic, The Chrono, The 40 Series, and the Voyager, and their newly released Revolver series. The Revolver Series’ retro-futuristic aesthetic features a modern dial bound by domed glass and a vintage-inspired 41mm case. Interchange stainless steel and thick cut leather straps in over 11 different colorways in both matte and polished finishes. When it comes to watches that work in any context, simplicity still reigns. Take $15 off a MVMT Watch plus free shipping with code THEROOT.